The Apocalyps3 is over and it turns out that the whole thing wasn't really all that big a deal after all. By yesterday morning, it looked like the end of the world as we knew it: PlayStation 3 consoles everywhere were failing due to a suspected "calendar bug" which trapped them in a looping error when they tried to access the PlayStation Network and scuttled Trophy collections and purchased PSN content. 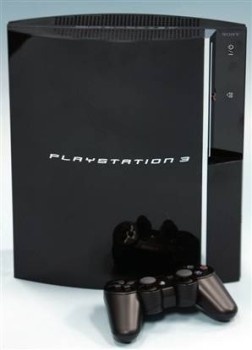 One or two hysterical alarmists actually floated the ridiculous idea that Y2PS3 could actually be the harbinger of a much more widespread failure of technology, as computer clocks everywhere suffered time-related breakdowns a decade later than we expected them to. Alas, the world has not ended, it just got a little glitchy over the weekend. Sony sounded the all-clear last night; it turns out that it was in fact a calendar bug, caused by the internal clock in "fat" PS3 models recognizing 2010 as a leap year. But it now appears that the problem has pretty much taken care of itself. "Having the internal clock date change from February 29 to March 1 (both GMT), we have verified that the symptoms are now resolved and that users are able to use their PS3 normally," Sony's Patrick Seybold wrote on the PlayStation Blog. "If the time displayed on the XMB is still incorrect, users are able to adjust time settings manually or via the internet." In a statement to CVG, Sony said users who are still having issues with missing Trophies "will need to re-access the game to reinstall the trophies, then exit the game and sync their trophy collection to the server in order to regain previous achievements." Some PS3 owners have reported that their Trophies aren't fully restored even after following those instructions but they are still listed on PSN, presumably meaning that Sony will be able to fully restore them with a future update. It's good news for the PS3 squad, I suppose, but fixing the problem by just waiting it out for a day isn't exactly the kind of big-bang-boom ending I was looking forward to. Anyone else out there feeling just a little let down by all this?